A sure fire way to be a happy camper! 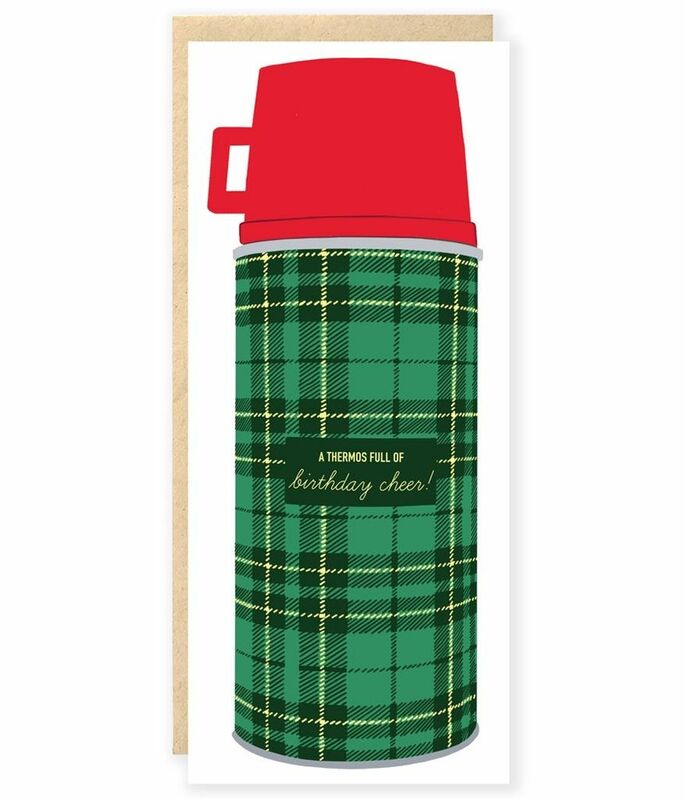 A classic thermos, filled with a favorite bev and birthday wishes. 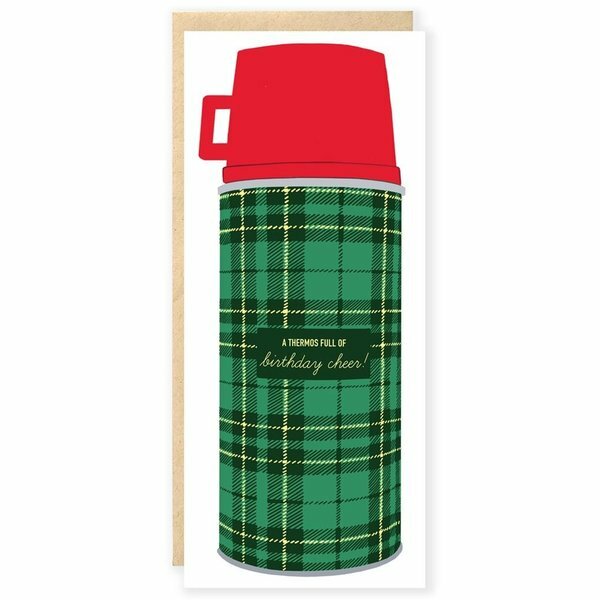 #10 card with Kraft envelope. Digitally printed from gouache painting.